The Joy Of Horses began in 2010 & we were proud to take over Australian Distributorship for Cashel who are a part of the Equibrand Company. Horses have always been a major part of my life , beginning to ride at the age of three, …. growing up on a large property in the NE of Victoria , mustering sheep and cattle was the main job for our horses, and then as an adult I became involved in various disciplines in the equine world from eventing, showjumping and dressage. All of these I loved and went headlong into improving and learning more and more . The later became my real passion. 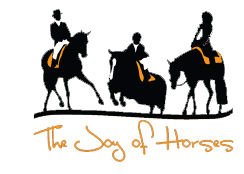 The Joy Of Horses is steadily growing as more and more people are discovering how great the Cashel products are - The Fly Protection range continues to increase in popularity, along with the wide range of saddle bags , and the Cushion Pads. Always looking to provide the best customer service and aiming to please , we continue to look forward to growing and offering high quality equine gear to one and all.